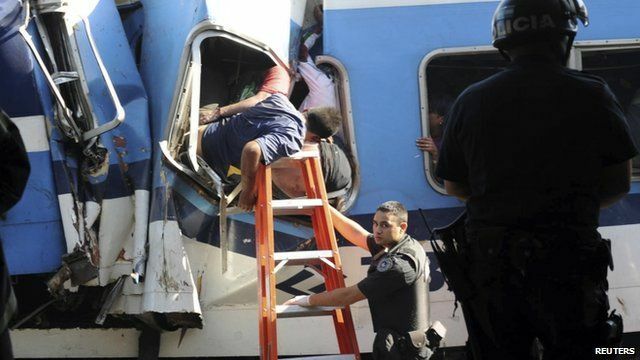 At least 40 people have been killed and hundreds more injured in a commuter train crash at a station in the Argentine capital, Buenos Aires. The train failed to stop and crashed into the barrier at the end of the platform at the Once station in the west of the city. The BBC's Vladimir Hernandez reports.